To make a long story short… what is a seedbox?… a Seedbox is a remote computer dedicated for torrenting. A Seedbox can take the shape of a remote client or a dedicated VPS (Virtual Private Server) that is used especially for downloading and uploading torrent files safely and at very high speeds. Once the seedbox has completed a torrent download from a P2P site, you can transfer it to your personal computer using other safe methods. In this article, we will go deep into “What is a Seedbox?” and review Seedboxes in depth. How Does a Seedbox Work? What to Expect from your Seedbox? What are the Benefits of Using a Seedbox? Other Uses of a Seedbox? As any computer would, seedboxes use the BitTorrent protocol to upload and download content from torrent sites. The only difference is that these servers are built especially for torrenting and they are located remotely in high-speed data centers. When you have access to a remote seedbox you can download torrent files directly to it at high speeds, without affecting your own resources, such as computer or Internet bandwidth. In other words, your computer is only a manager, the seedbox is the one doing the hard work. Because you are downloading torrents to a third-party and remote server, your privacy is protected. When you do this, you are using a public IP from another “computer” to connect to P2P sites and download their content. You also remain protected while using another port, usually port “80”, or your web browser, to monitor your downloads/uploads on your seedbox. Stream media right on the server, using services like Plex or a client like WebTorrent. Or you can download all your content to your personal computer via a safe protocol, such as SFTP (SSH File Transfer Protocol) or HTTPS. Thanks to today’s hyper-connected cloud and ultra speed networks, we are able to do more than we would have imagined. Today, it is so easy to set up a remote server in the cloud, manage it anywhere and protect all your stored information. Out of this amazing technology, Seedboxes were born. Although anyone with good Linux skills, a high-performance server box, and high-speed Internet can deploy one locally, renting a seedbox online is much more convenient. 1. You don’t need to be an expert in Linux and Networking. The seedbox provider will rent you a VPS (Virtual Private Server) with everything set up and ready for torrenting. In fact, some providers also have seedboxes deployed in Windows or MacOS. 2. You can transfer content all day long. Seedboxes are available 24/7 and can be rented on a month-by-month or yearly basis. That means you don’t have to spend extra money in, resources, utilities, and space. You only pay for the service for a specific time. 3. You can choose between shared or dedicated. If you have more budget, prefer stable speeds and to use your own hardware, then a dedicated server might be your best option. But if you have a more limited budget and don’t mind sharing resources with multiple users, a shared box could be your choice. If you are wondering about bandwidth, shared seedboxes use Traffic Limits to ensure that a single user doesn’t eat 100% of the bandwidth. 4. The speeds are just amazing. When downloading/uploading you could easily see a throughput of 10Mbps to even 1000Mbps (1Gbps). The speed of a Seedbox is so fast, that generally, a 1GB file downloaded at 100Mbps takes only about 2 minutes. That means you can download an HD movie in only 2 minutes. 5. The servers are located in friendly countries. Some European countries such as The Netherlands, France, and Finland have the best infrastructure, connectivity, and speed as compared to other countries in the world. On top of that, these countries are less strict on copyrighted things hosted on servers, as compared to countries as Germany and US. 6. You can prevent local Internet connection from being clogged. If your local ISP identifies torrent traffic coming from your IP, they will probably block it. With a Seedbox, you can forget about this, because the torrent traffic that you are generating is going through a different ISP, not your local one. For now, we already talked about seedboxes and VPSs in general, but not about the Virtual Private Server Seedbox … so what is exactly a VPS Seedbox? What is a shared resource? What is a dedicated Seedbox? Or what is a non-VPS Seedbox? In this section, we will describe two important concepts, so that you can fully understand the difference. The VPS Seedbox vs. Non-VPS Seedbox. There are usually two types of Seedboxes, one is called a VPS Seedbox, and the other is the non-VPS Seedbox. Let’s start defining the VPS. A VPS (Virtual Private Server) runs under the control of some virtualization hypervisor – Vmware, Hyper-V, KVM, OpenVZ, Xen, etc, and it can be dedicated or shared. A dedicated server is a type of Internet hosting in which the client leases an entire physical server not shared with anyone else. A shared resource means more than one client uses the resources of either VPS or Dedicated Server. As shown in the picture above, a VPS is part of a private subnet inside a VPS Provider Network. VPSs networks usually have shared public IP addresses, unless you request to have your own public IP. You connect from your local computer to your VPS through the internet. As you know already, a Seedbox is a type of hosting or service especially for torrenting. When mixed together you have “The VPS Seedbox”, a remote virtual server made ready and especially for torrenting. Think about a VPS + applications designed to perform P2P information exchange. So what is a non-VPS Seedbox? Non-VPS Seedbox is a Dedicated Server + applications, designed to perform P2P information exchange. Seedbox providers build different packages that are tailored to different torrent users. Whether you are a casual or a furious torrent user, you will find the package that suits you. All the VPS Seedboxes are high-performance servers with enough CPU power, RAM, storage and high bandwidth, all ready to give you a smooth and great torrenting experience. Aside from having amazing high performance, some seedboxes also include a complete torrent toolkit already installed so you don’t waste time configuring it. That includes web interfaces of popular torrent clients such as uTorrent, Transmission, Deluge, etc. They also come with Video Encoders and Compressors, so you can compress videos before you download them to your personal computer. You can also rent a seedbox with Plex Media Server already installed, so you can stream your media anywhere and anytime. Seedboxes are known to offer the one-click ease. 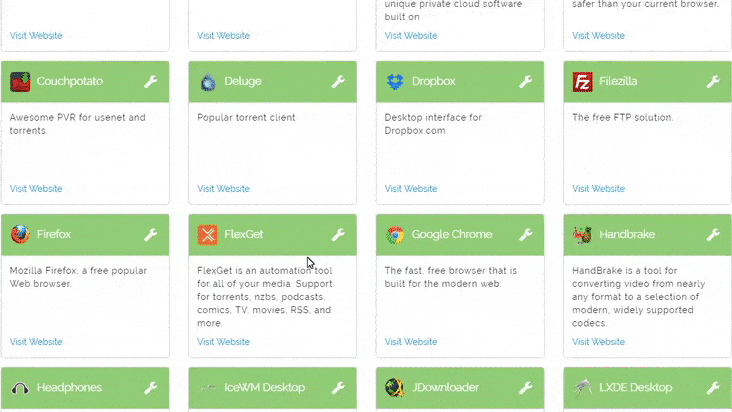 For example, RapidSeedbox offers one-click installers. A service that helps you install over 50+ applications on your server with minimum effort. They are executable scripts that configure the listed applications with a single click without previous requirements from the client. If you are looking for added security and a way to geographically connect to another country, all seedboxes come with VPN. You can basically create a tunnel from your personal computer to your Seedbox using OpenVPN and browse from you Seedbox with 100% anonymity. Depending on the seedbox that you rented and whether it is a dedicated or shared server you can expect different Seedbox performance. Bandwidth seems to be one of the most important factors for good performance. Bandwidth determines download or upload speed. You can expect over 100MB/s on a 1Gbit SSD Seedbox. Below is a speed test from RapidSeedbox. Other performance metrics such as Uptime, CPU Utilization, and Memory are also important. The best VPS Seedbox that RapidSeedbox offers is a server with 2.8TB of storage, 4CPU Core, 11GB RAM, and 1Gbps. We can summarize the basic use of a Seedbox in four simple steps (but there are actually many things you can do with a Seedbox). The seedbox provider will give you the IP and the credentials. You’ll be given encrypted access and security protocols to access your shared or dedicated VPS. With this information, you can access and manage your Seedbox from your local computer via remote access. With the Seedbox you can download torrents anonymously. Once finished, you can use an FTP Server to transfer all information from your Seedbox to your local computer using an FTP Client. You can use other services to transfer files to your local computers, such as HTTPS and TLS. Once you have that information, you can access the server via remote desktops, such as VNC, X2Go client, or Microsoft Remote Desktop. X2Go is a next-generation remote desktop control, that is compatible with Windows, MacOS, and Linux. This software can be easily installed, is very reliable and secure. Learn how to start using X2Go through this useful guide. Another cross-platform and multi-user remote desktop server is ThinLinc. This tool is becoming popular because it comes with all new features, such as accelerated video and audio, NFS file sharing, resume, window resize, etc. The best seedboxes out there will usually have pre-installed torrenting apps, so you can start downloading and uploading torrents immediately. One of the most popular torrent clients, ruTorrent is commonly installed in Seedboxes. ruTorrent is easy to install, to use, and is the perfect match for Seedboxes, find out how to manage it like a pro, in this useful guide. Aside from having the app installed in the server, you can also you can log into your torrent client using secured web interface so you can control your seedbox anywhere and from any device, by just using your web browser. Once a torrent file has successfully downloaded in your Seedbox, you can use a safe method to transfer it into your local computer. 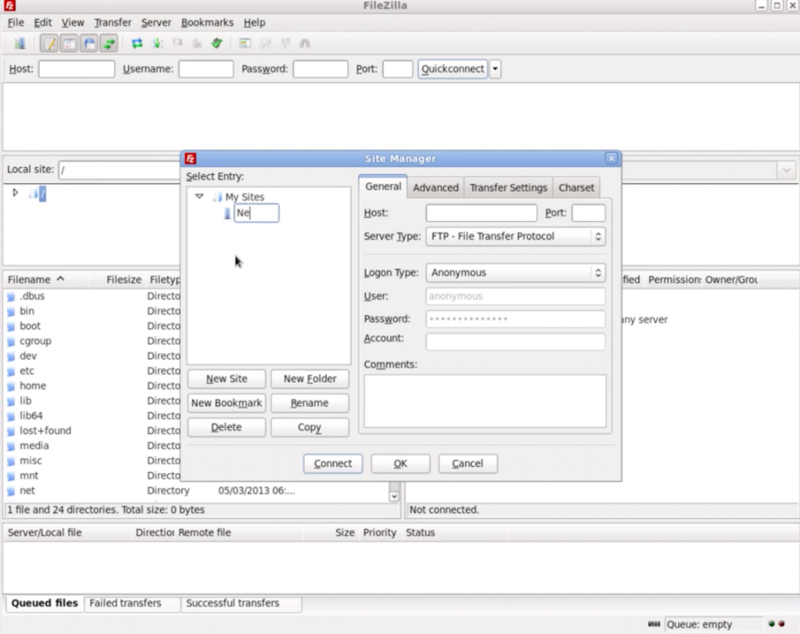 Seedboxes will usually have a pre-installed FTP or SFTP application such as FileZilla Server so that you only need to download the client on your computer and transfer your files directly. Installing FTP Client on your computer is really simple. Once you have it installed, you can log in to your remote seedbox using either sFTP or FTPS. Again, you would only need IP (or hostname) and FTP-specific credentials. From here on, you are using your own resources to download content. Your own computer and bandwidth will determine the speed. If your FTP speed is slow you can try optimizing your client or try alternatives. As a reminder… legitimate traffic such as FTP or HTTP is permitted by your ISP and it is not even inspected. They label it as “safe” traffic and ignore it all the time. Some Seedboxes are beginning to offer FileSync as a file transfer service. This is a free and open source data backup method that helps compare and synchronize files on different OSs, such as Windows, Linux, and MacOS. Another method for transferring files based on P2P is called ResilioSync. This method uses P2P to synchronize files between local and remote machines. Remote desktop access. An IP address, username, and password. FTP access. The same IP, and FTP credentials. Torrent-specific software. uTorrent, Transmission, etc. Additional software. Encoders, FTPs, VPNs, etc. Web browser control. Although your seedbox can only be managed through remote access, your torrent clients such as uTorrent can be managed through a web browser, that means you can even use your mobile to manage your downloads. The main benefits of using a seedbox are… protecting your privacy, avoiding ISP throttling, improving sharing ratio, improving your torrenting experience and expanding your content storage. A seedbox protects a torrent’s users anonymity. Although BitTorrent is completely legal, ISPs and copyright trolls are looking for public IPs that use the BitTorrent protocol often. If you are using your home IP, you are at risk. But if you are using a remote third-party server with a different public IP from another country, your risk automatically drops to zero. Your ISP will only see web browsing activity (which is not interesting to them). Later, if you want to download all your content to your personal computer, you can use a safe protocol such as SFTP or HTTPS, which again are the most common protocols used. 2. Improve your Share Ratio. Seedboxes were born out of a necessity to improve (or maintain) the share ratio in private communities while saving resources and staying anonymous. Seedboxes are very popular on P2P and BitTorrent communities, especially in private communities. To be a part of these communities the shared ratio is extremely important. Share ratio is a number obtained by dividing the amount of data a user has uploaded by the amount of downloaded data. So if your share ratio is above one, it means that you have shared more than what you have received, so the community will be happy with you. A seedbox helps you maintain (and improve) your share ratio in torrent communities, without utilizing your own resources. For security reasons, some seedbox companies do not allow public communities, only private ones such as RED and CHD. Your ISP also has limited resources. ISPs powerful routers are quickly overflowed when a large number of users in a certain area consume a big chunk of their bandwidth. To keep up and save resources, ISPs will shape any traffic that is using a large portion of their bandwidth pipe. That is why ISPs are continuously fighting BitTorrent protocol traffic, as it takes a huge portion of their bandwidth. Once they identify the port, they will shape its traffic, reducing the speed to less than 10%. Seedboxes are used to avoid bandwidth throttling imposed by ISPs. Since a seedbox is not using your home ISP to download torrents, you’ll instantly avoid any enforced throttling. Torrenting is a high resource demanding activity, especially if you are a serious user. If you are using your personal computer, network devices, and the Internet to continuously download torrents, you are exhausting CPU, hard disk, memory, Internet data allowance, etc. A seedbox can take all that load and the best of all is that you can manage it anywhere and from any device. You can even use your mobile to check your downloads on the go, download your content anywhere you are or configure RSS Feed to automatically download specific files as soon as they are released. 5. Expand your local storage. You have two choices when using a Seedbox. Use it as a middle-man or as permanent cloud storage. When the seedbox acts as a middle-man you would just use it to download or seed torrents then just take it from the seedbox into your computer. However, some users love leaving their content on the Seedbox and being able to download it or see it anywhere they want. Seedboxes have more uses than just downloading or uploading torrents anonymously. They can be used as a streaming server (like creating your own Netflix…), having a VPN “Virtual Private Network”, or as we know already, improving your share ratio in a private community. 1. A streaming media center. A seedbox can be turned into a powerful streaming media center such as Netflix. Download all your content and use a streaming media server like Plex to organize your content and view it without needing to download it. Some torrent clients, like WebTorrent, allow streaming video or audio while downloading. That means that you don’t have to download the entire file, just start the download, if there are enough seeders the file will be immediately played. 2. Connect geographically to a different place through a VPN. When you use your Seedbox as a VPN with tools such as OpenVPN, you are using it to connect to the Internet from a different geographical location. The VPN creates a tunnel from your personal computer to your seedbox, so any information in between is encrypted. Avoid detection. Your privacy and security are improved, not only for torrenting activity. Protect your VoIP. Your “Voice Over IP” communication cannot be intercepted, so it will retain quality and privacy. Unblock geographical restrictions. Unblock social media or websites that cannot be used in your country. 3. See content from specific countries. Content is usually tailored according to the country. See the content as you would if you were connected locally. For example, if your Seedbox is in France, you will see all content tailored for that country. 4. Backup Storage. 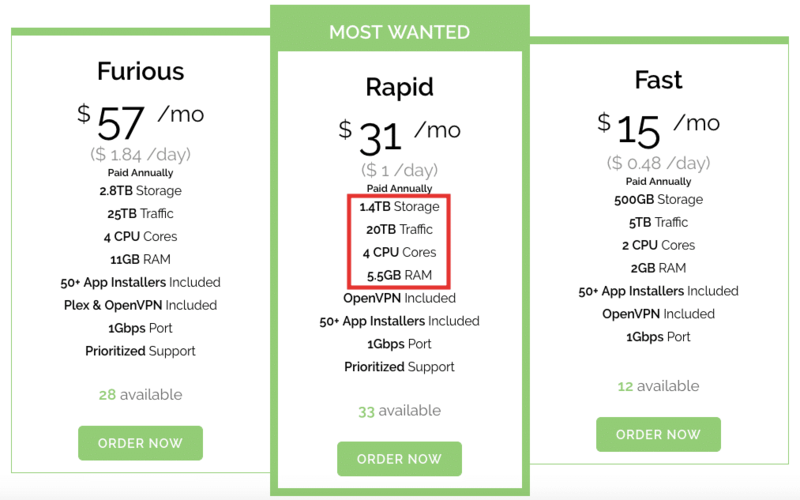 Seedboxes have different storage and pricing plans than other popular cloud storage, such as Google Drive or Dropbox. The main intention of having a seedbox is not storing files, but some people use it as a backup unit. With a Seedbox, you can access your data anywhere and from any device. 5. Host Websites. Since a Seedbox is a fast and reliable remote server, you can use it to host a website. If you know how to deploy your own web server, a seedbox could be a cheaper alternative to web hosting service sites. Remember that Seedboxes are customized for torrenting, not for hosting a website. If you want to host a website, you would need to install basic hosting software like Apache, MySQL, PHP, WordPress, Shopify etc. 1. What is a Seedbox? A Seedbox is a remote computer built specifically for torrenting. Once you access it you can use it to download and upload torrents anonymously and safely without putting your identity at risk. 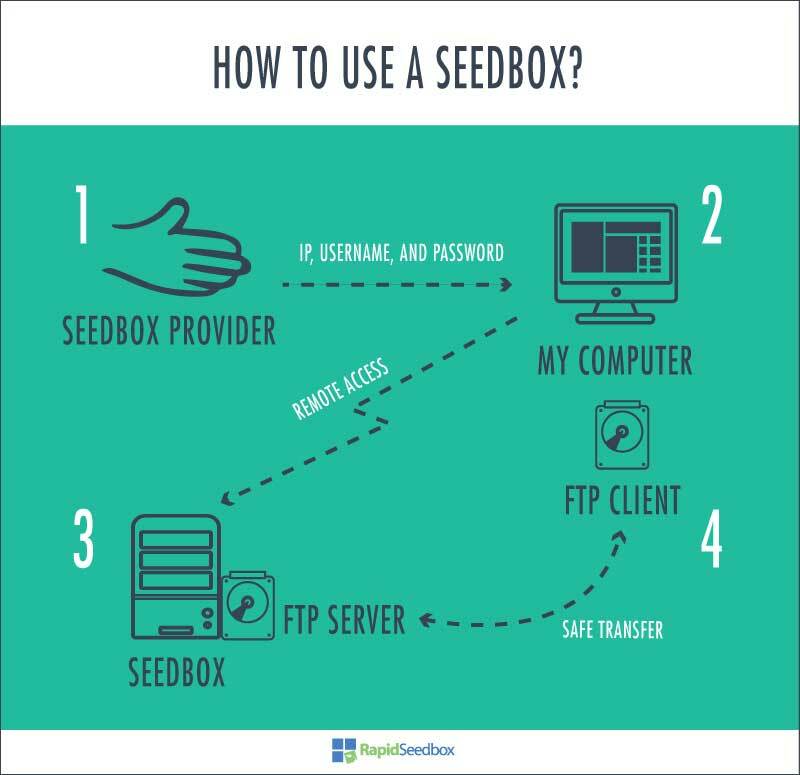 The concept “Seedbox” represents a “box” that can be left alone especially for seeding torrents in order to generate a high share ratio. 2. How to start with a Seedbox? A Seedbox is a high-resource and high-bandwidth machine located in a remote data center. Anyone with high good Linux skills, a powerful server, and ultra-bandwidth can configure a Seedbox. But Seedboxes are better left to the professionals. You can rent a VPS or non-VPS Seedbox for a month or a year, use it to download torrents safely with full anonymity, and transfer all the content safely to your personal computer. 3. Who needs a Seedbox? Serious torrent users, torrenting beginners, casual torrenters… well… anyone who wants to download or seed torrent files safely and anonymously. 4. Why do you need a Seedbox? Rather than buying a physical box, paying high bandwidth from your ISP or getting a degree in Linux, you can just rent a Seedbox online from a provider. Services like Rapidseedbox, allow a risk-free test with a guaranteed 14 days money back. 5. Some of the benefits of having a seedbox are: The download/upload speeds are amazing, the server is up 24/7, you can download torrents with 100% anonymity, and you can maintain high share ratio in private communities. Give a high-performance VPS Seedbox a try. It is already set up for torrenting, just waiting for you! Get started with a Seedbox.